﻿ Is this the ultimate Honda CBX1000? Is this the ultimate Honda CBX1000? A “breakthrough for the Japanese motorcycle industry” was one headline when Honda’s stunning six cylinder CBX was first announced in 1977 and the first photographs which appeared in MCN that year certainly left a lasting impression on one West Country teenager. Thirty five years on Paul Pursey now owns seven of the iconic sixes including this, which features an 1170cc turbo charged engine mounted in one of the rare and beautifully crafted frames made by the Frenchman Georges Martin. It wasn’t until his late 20s when Pursey managed to get his first CBX, a standard bike in red which he still has today. 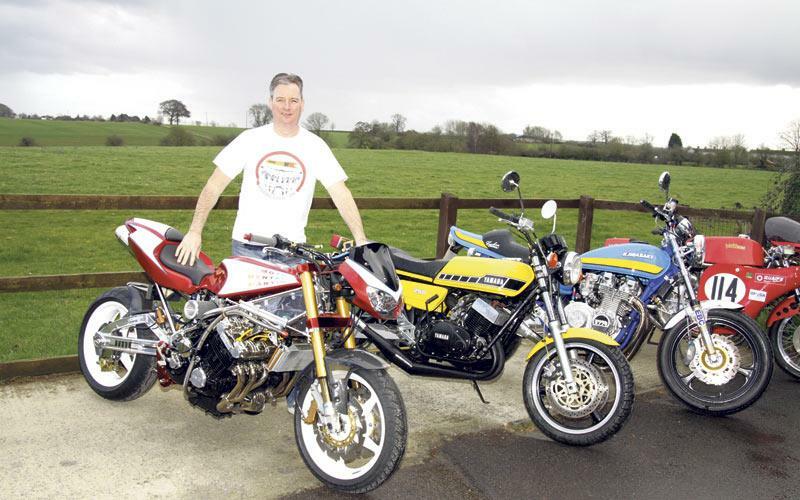 But the last two decades have seen his collection steadily grow – he now has around 20 bikes all told – but it’s the Moto Martin CBX, bought in 2000, that grabs most of the attention – and money. “I’d always admired the frames made by Georges Martin,” Pursey told MCN. “I think he made around 100 for the CBX – and when this one came up I decided it was too good an opportunity to miss. All that changed when a friend offered the JMC swingarm: suddenly the whole thing snowballed and before long it was a total strip down. “I decided to go the whole hog and fit a turbo charger so the whole engine was stripped and upgraded,” Pursey explains. This included a modified crank, special pistons and rods, a big valve head, an uprated oil pump and more. “Even though I did all the work I still reckon it cost around £9 - £10,000 on parts alone,” Pursey says. 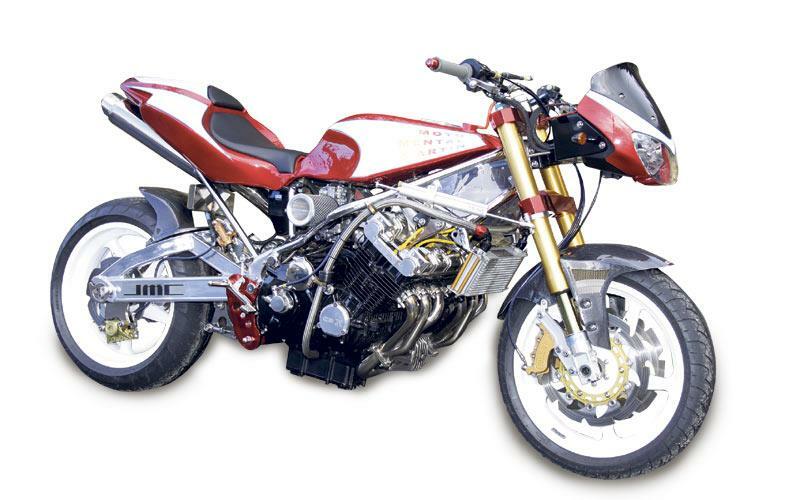 “The frame had to be modified to accommodate the bigger swingarm and turbo and to give some decent suspension at the front I used a pair of forks from an R1 along with custom made yokes. Not only does the finished bike look fantastic but the turbo charged 1170cc engine – it’s been measured at 200bhp – also gives it plenty of go. It’s been timed at 165mph; you can only imagine the exhaust note from the six into one at that speed! With the CBX riders club – Paul is the South West representative – it’s also been to many European rallies winning many trophies along the way. CBXs are Pursey’s first love but they aren’t the only bikes in his ever-burgeoning collection. Sitting alongside the turbo special is another Moto Martin – a scruffy one used for track days – and also several other interesting Jap Classics including a stunning Z1 Kawasaki, four air cooled Yamahas (an RD250 and three RD400s), a well used XT500, an XL250 Motosport and a unique Trident T150 powered Vendetta racer. The latter - which if all goes to plan – will be back on the track at the Festival of 1000 bikes at Mallory Park in July; it’ll be music to the ears so don’t miss it.